Armstrong on his W2XMN tower. 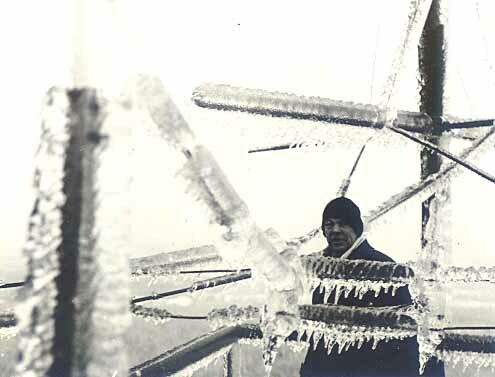 The station logs reflect a great deal of research into methods of eliminating ice on the antenna elements. 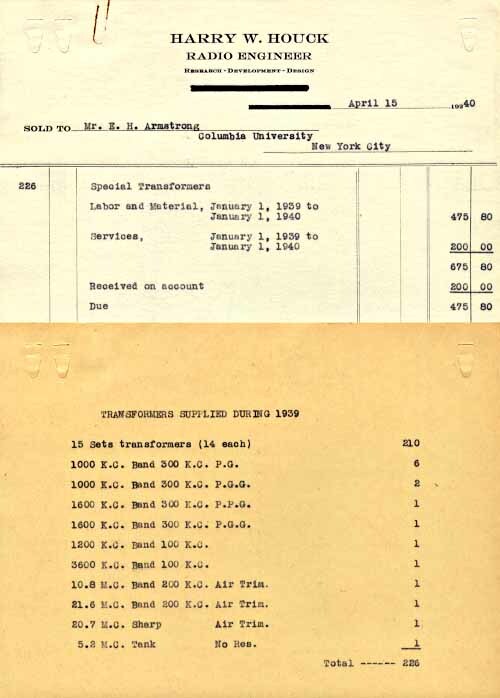 Even as W2XMN was on the air, more transformers were needed to fuel Armstrong's continued research and development. 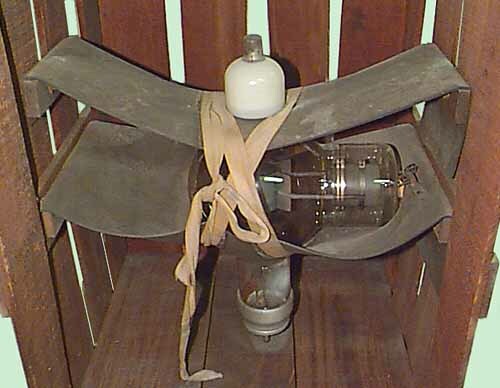 One of the RCA 831 tubes (RF Amplifier/Oscillator) used in the Alpine transmitter. Tag attached to the 831 tube. 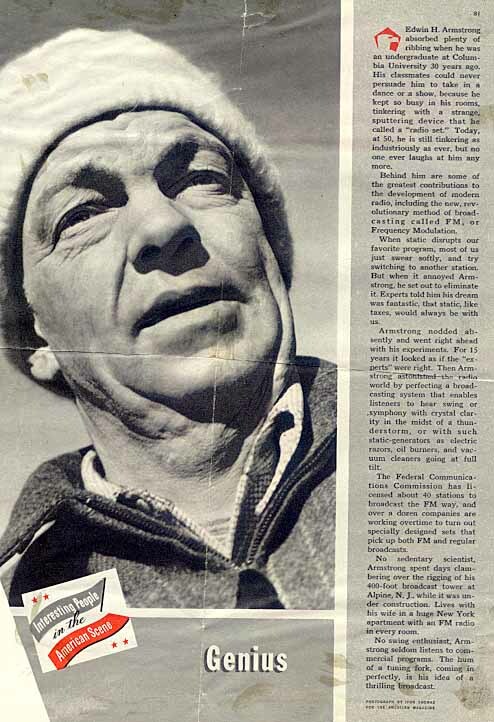 A full page look at Armstrong in 1940 - from "American Magazine".